There are not enough words to describe my Grandma Bernie. But here are a few: kind, generous, sweet, and with a strong faith. She was an incredible woman. When Alzheimer’s began to take over her brain it was hard to notice at first because she had always been quiet. My grandfather was the talker – and Grandma Bernie was the listener. 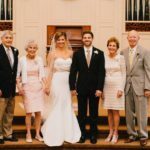 But as the years continued, we watched this terrible disease slowly take away her memory, her independence to complete daily tasks, and eventually, it took away her ability to walk, talk, eat, and drink. It was beyond heartbreaking. 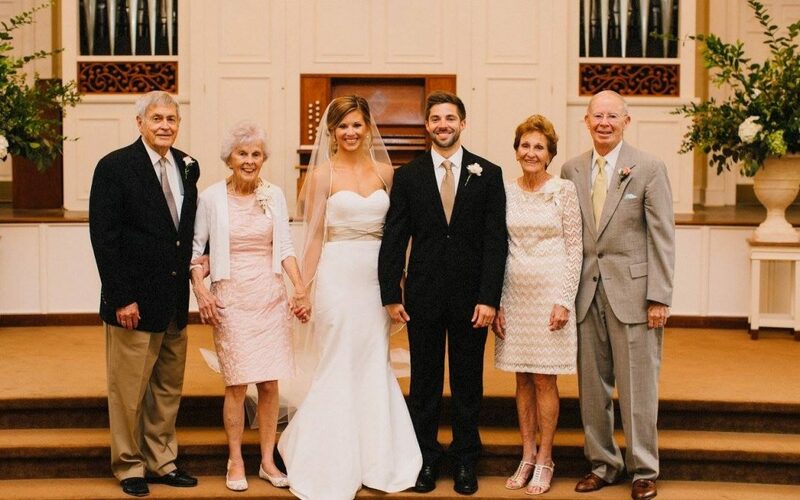 Her ten year battle with Alzheimer’s was long and hard – one that I can imagine was filled with fear, loneliness, confusion, frustration, and anger. It is hard for people to visit a person living with Alzheimer’s, because often times, the person doesn’t remember you, how to carry on a conversation, or even complete daily tasks on their own. Frankly, it can be uncomfortable for the visitor. This leads to a very isolating life for the person living with Alzheimer’s and – especially if they are still living at home – it’s also a very isolating life for their caregivers. There are many people out there working hard to support our seniors, like Senior Services, Inc. I am thrilled that as part of Blue Cross ‘NC’s ‘Month of Thanks’ campaign, we are honoring this deserving organization in Winston-Salem, North Carolina. The mission of Senior Services is to help older adults remain at home for as long as possible and to help them live with dignity. They also help the seniors’ caregivers through services and education that will benefit them. Senior Services currently serves 1,697 seniors in Forsyth County through a variety of programs. They offer resources like the Adult Day Center, Meals-on-Wheels, Home Care, Senior Lunch, Living-at-Home, Elder Care Choices, Help Line, and more. Learn about the nonprofit organizations that Blue Cross NC honors during ‘Month of Thanks’ this November. 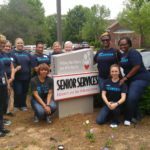 Blue Cross NC employees have been volunteering throughout this year at the Adult Day Center. This center provides a safe, fun, and structured day program that brings meaning and friendship to participants facing memory loss in a nurturing environment. The Day Center is a way to give caregivers a break to get things done and to take care of themselves, which is so important. Services include socialization, the Music and Memory program, healthy meals, a barber and beautician, access to a physician, caregiver support groups, baths, and more. The Music and Memory Program is one of my favorites. I’ve been to the Day Center several times this year, and I’ve seen first-hand how it works. Rooted in extensive neuroscience research, the program provides personalized playlists to participants living with memory loss. 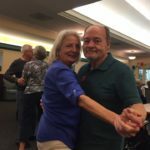 Hearing their favorite music – whether it’s 1940s big band, or jazz, or swing music, or whatever else – taps deep memories not lost to dementia, and allows them to feel like themselves, to converse, socialize and stay present. As a Blue Cross NC ‘Month of Thanks’ recipient, Senior Services, Inc. will receive a $5,500 contribution. This is just one example of the amazing work of Senior Services, Inc., and one example of the thousands of participants and caregivers they help every day. Before she passed away last year, my Grandma Bernie was no longer able to remember who I was. But Senior Services helps us remember to never forget those who forget us.